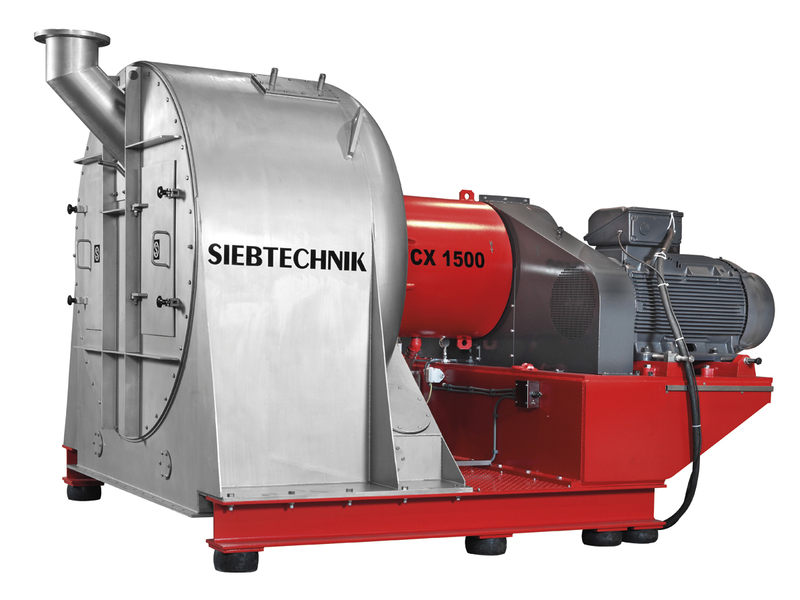 The SIEBTECHNIK CONTURBEX screen worm centrifuge is a machine concept for demanding tasks that has been proving its worth for decades. 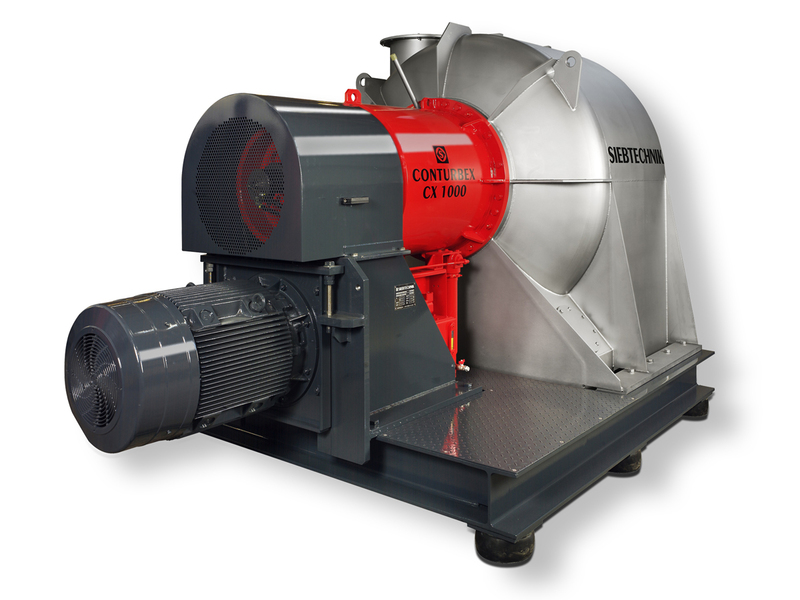 The CONTURBEX is a continuously operating filtration centrifuge for a broad range of applications. 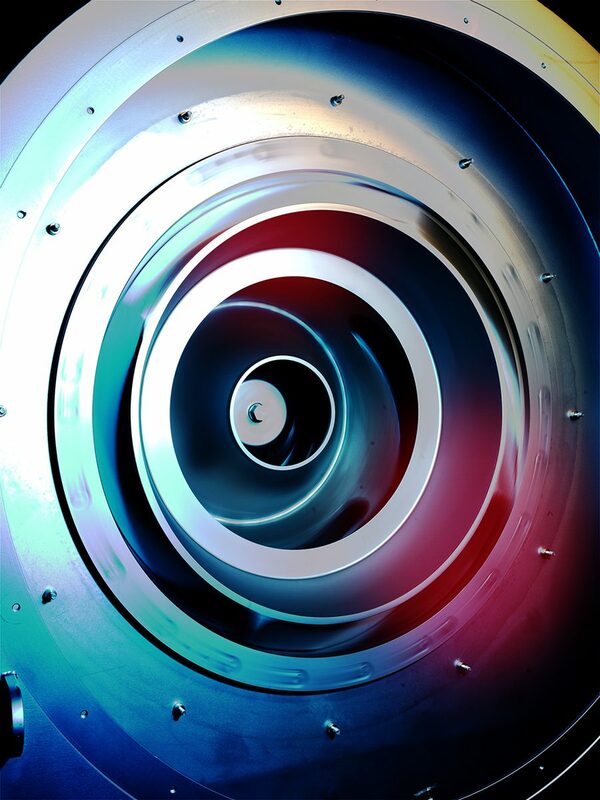 We achieve this flexibility by means of a centrifuge worm driven at a differential speed. 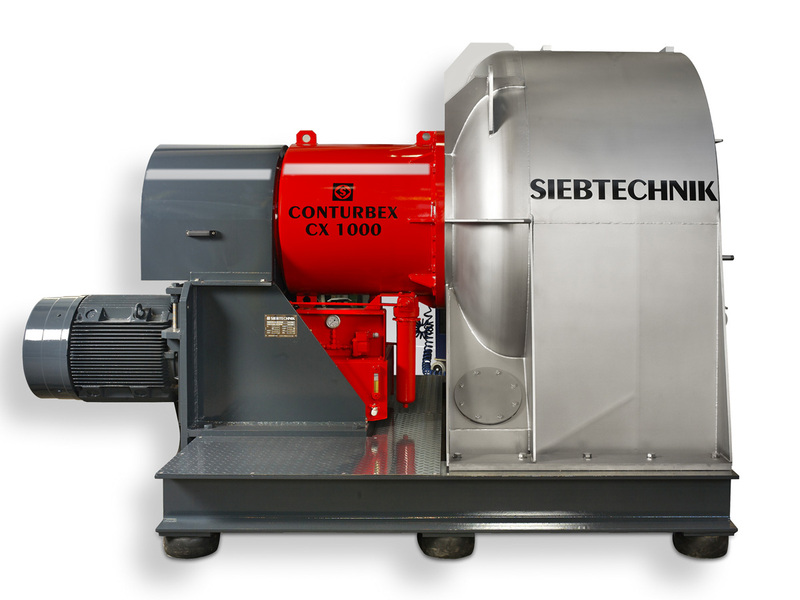 There are thousands of CONTURBEX screen worm centrifuges in operation in the most varied industrial sectors worldwide. They perform tasks in the chemical industry with specific corrosion-resistance requirements or gas-tight processes as well as fulfilling hygiene requirements in the food industry. We also offer versions of the CONTURBEX with USDA certification. It was the increasingly demanding requirements, particularly for improved throughput rates, that motivated us to expand our CONTURBEX series. The CX type maschine was developed with the aid of the latest design and production methods and on the basis of decades of experience. 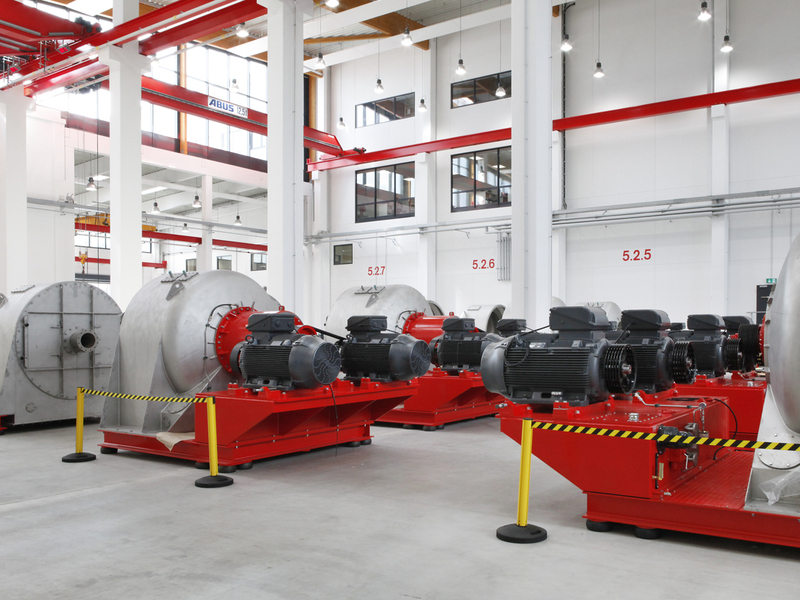 The design principle simplifies maintenance and thanks to an optimum centre of gravity position guarantees a vibration-free and economically efficient operation with high throughput rates. 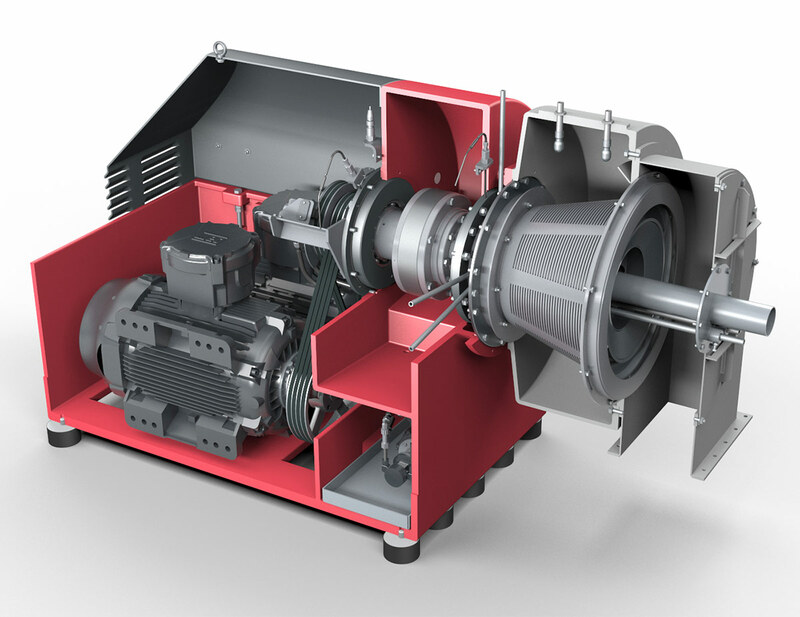 All CONTURBEX centrifuges have universal application and impress by their quiet running characteristics, even where feed conditions fluctuate. 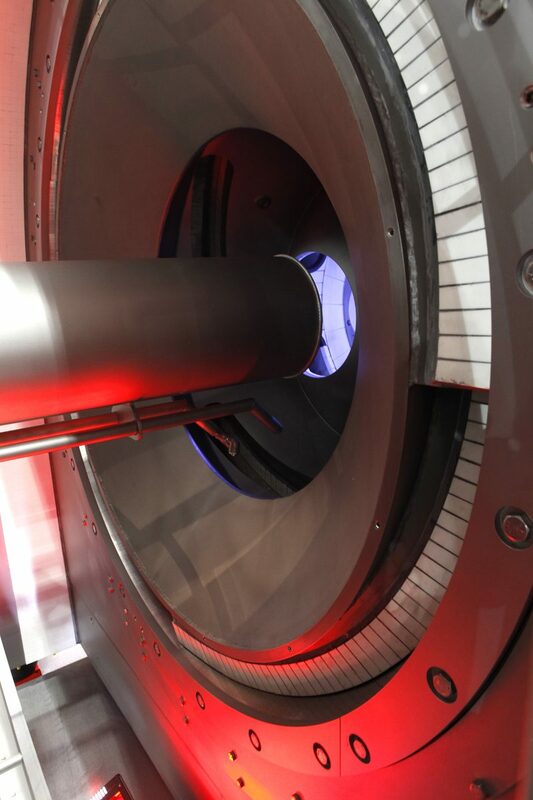 The centrifuge has the task of separating solid matter from suspensions. 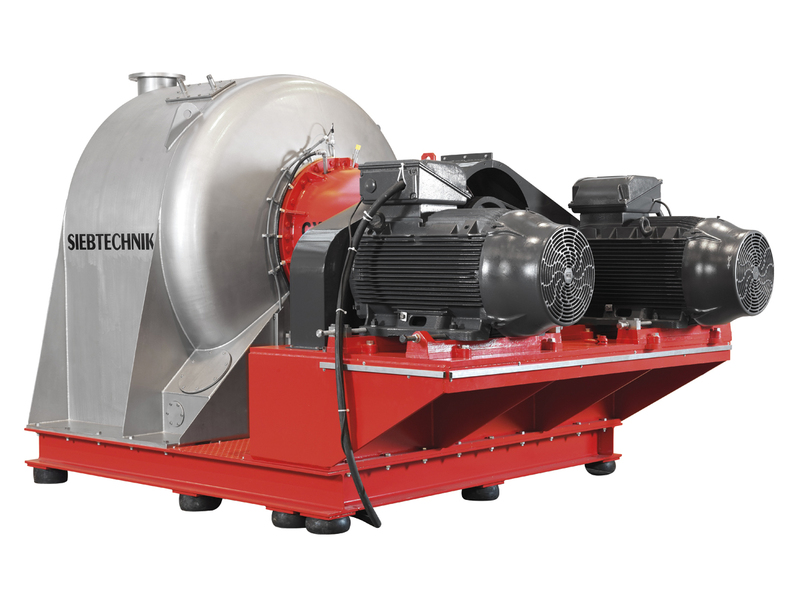 Here the screen worm centrifuge impresses by its enormous range of applications, with both high and low feed concentrations. The unique functional principle of pre-accelerated suspension feed to the screening device, combined with homogeneous distribution by means of the worm, enables this centrifuge to perform complex tasks. 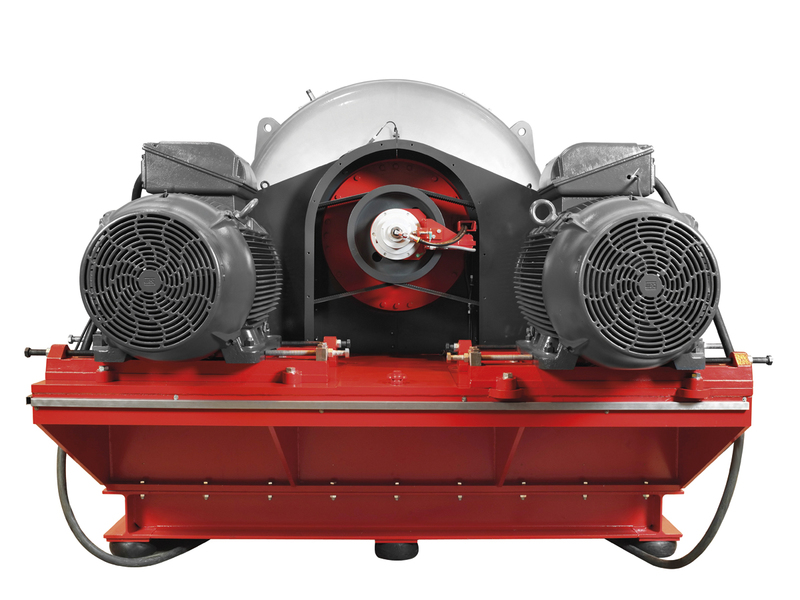 We achieve optimum dewatering results by adapting the machine parameters, G force and dwell time. The solid material is conveyed by means of a worm rotating at a different speed from the bowl. Solid and liquid are conducted away into separate housing sections. Mother liquor and washing liquid can be drained away separately from each other. 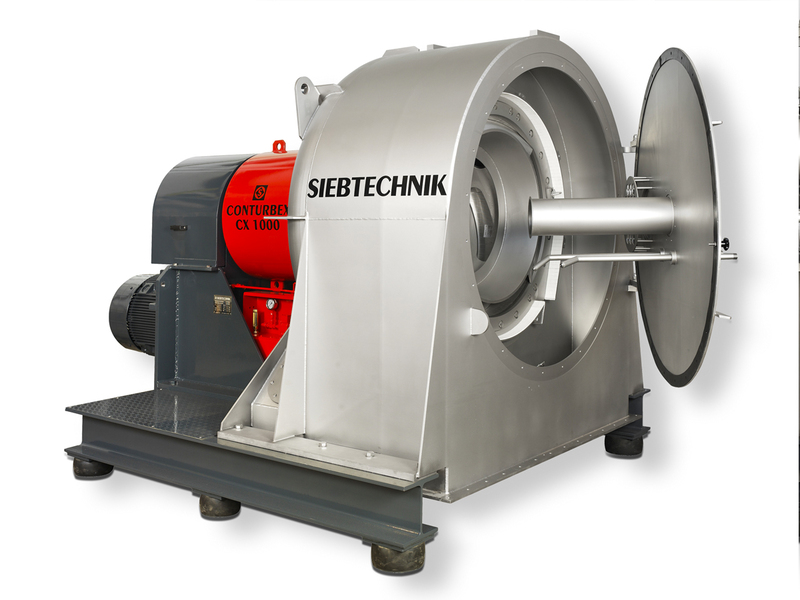 The drive for the SIEBTECHNIK screen worm centrifuge stands out for its powerful gear units and a high-quality bearing support. A central oil-circuit lubrication system supplies all the bearings with continuously filtered and temperature-controlled lubricant. This machine concept enables excellent access to all the components coming into contact with the product. 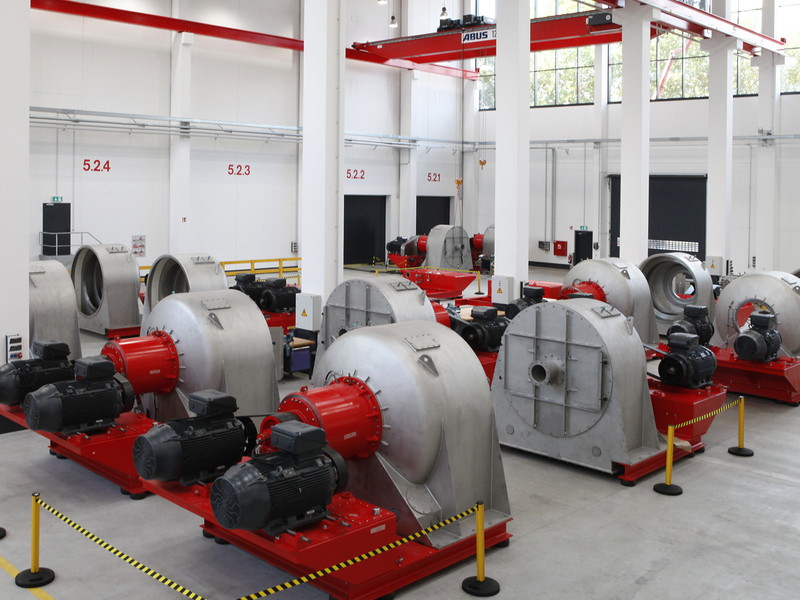 The result is fast servicing and maintenance procedures and special cleaning requirements to be met inside the process space. Because of the complex tasks there is a large number of different design variants available. 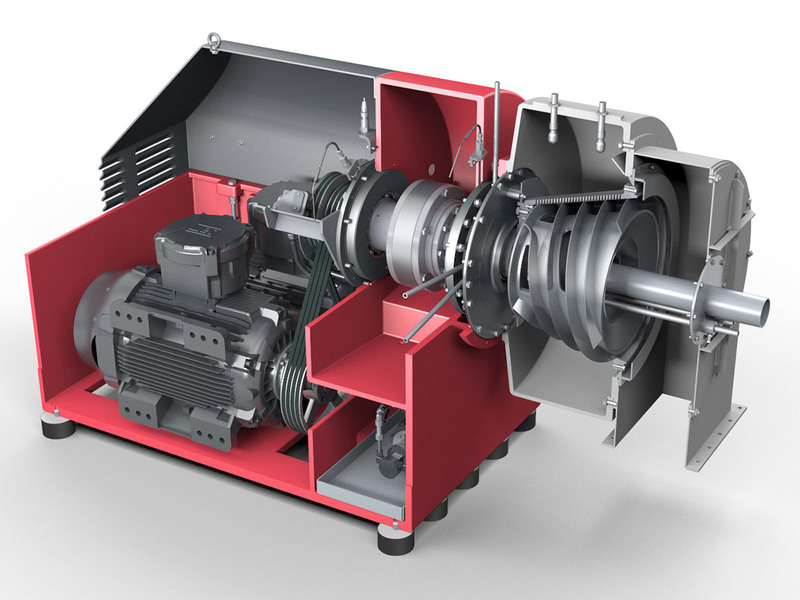 The rotating components on SIEBTECHNIK CONTURBEX machines are available with different taper angles ranging from 0° to 20°. 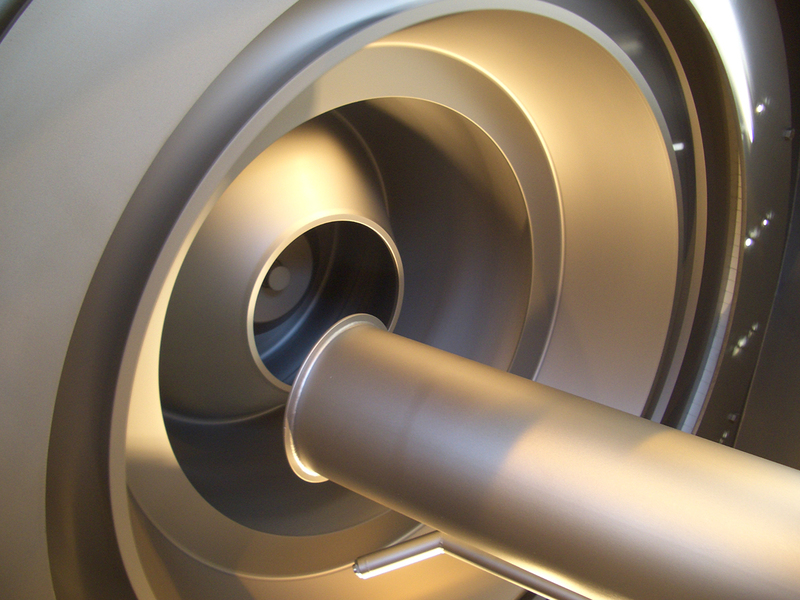 A central component of this filtration centrifuge is the screening device. This is chosen to meet the specific requirements of the separating task. The design of the worm is also a central consideration: the geometrical arrangement of the worm channels and the choice of suitable material or wear protection is decisive.